Even if there would not be the vineyards which model their surveys, even if some of the most esteemed wines were not produced there, even if they would not be immortalized in the novels of Cesare Pavese and Beppe Fenoglio, the Langhe were however an unrepeatable place, with the Castles, the villages layed down on a hills balcony, faced on the western alpin arc and opened southern to the sea, and the light colour of the ground outlines the slanting geometries of the vineyards. In Alba we can visit the birthplace of Beppe Fenoglio: a tyipical inhabitant of Alba, his house is placed in the central square of the cathedral. In the green area of the restored farmstead of San Cassiano, the last bulwark of the partisans, the Battle of 23 days is reenacted. If we wanna go until San Rocco Seno D'elvio, we retrace the way Fulvia came, the girl of the harrowing love story and death of "A private matter". Others paths of Fenoglio have been equipped in Murazzano, in the Alta Langa overlooking the Cuneo's plain and the Alps circle. The places which recall the figure and the writings of the Langhe by Pavese are concentrated around Santo Stefano Belbo; in this village we visit the writer's house and the house-museum of Pinolo Scaglione, the Nuto of The moon and the bonfires. Here, on the border with the hills of Asti and the Monferrato, we are in the tyipical zone of the moscato. The grape harvest is still handmade, even if the grapepickers are almost all Macedonian. The grape harvest and the hazelnut picking are the occasion for country parties, with the tasting of the typical products. Moreover, each year in October, Alba celebrates the Truffle Fair. The white variety of the precious mushroom, which is not cultivable, becomes more and more rare and expensive because of the abandon of the undergrowth. To explain this, on the field it was equipped in Castino a touristic expert of truffles, which soon will be followed by similar didactic courses in the Rocche di Barbaresco and in Monchiero. We tried to indicate interesting places to visit on this hills: however, it is important to remember that, for getting the Langhe atmosphere, it is convenient to stroll along the several crests: moving just a little bit, the landscape changes very much and it is easy to get lost if you don't know the places, even if usually getting lost here is not really a misfortune. The Romantic Street is based on this idea, a panoramic itinerary which will be announced during the Olympic games of Turin 2006. In less than a hundert kilometre and a dozen of panoramic viewpoints, it reveals an anthology of the Langhe's view. It starts from Vezza d'Alba, ante-room of the Langhe, which is reachable in 30 minutes from the Asti-Est tollgate of the A21 Turin-Piacenza. Then it goes up in the middle of the vineyards in Magliano Alfieri. Once reached the valley's bottom, we leave behind the traffiqued Asti-Alba and once we crossed the river we reach Neive, one of the most beautiful district of Italy. We goes then towards Treiso, in the center of the Barbaresco's area: not far on the left the Rocca dei Sette Fratelli precipitates, a western name of a real canyon. Holding the ridge we go back up the Tanaro-Belbo watershed towards Benevello, while the vineyards give way to the huzelnuts of Alta Langa. Meanwhile we brush by, on the left, the Cascina Langa, refuge of the partisan Johnny, now transformed in a Beauty farm, and the fork for the Pavaglione, location of La Malora, the terrible story of the boy rent as busboy. When we leave the crest we see the panoramic viewpoints of Montelupo, Sinio and Cissone and then we retook the crest to reach the air "balconies" of Murazzano and Monbarcaro, freckled of the memories of Fenoglio. The Valsesia is a large and complex valley, articulated in two parts. In the first stretch, which goes from Borgosesia to Varallo, it is large and almost pleasant: the numerous industrial buildings paper mills, woollen mills, fauets) cohabit with the eccellent testimonies of the religious art. In the second stretch, the upper part, it is instead tight and winding: here the ancient Walser countries meet at the foot of the southeast wall of the Rose Mountain, high and impressive with ice cascades and the peaks which overpass 4000 meters. Also the Sesia river has its importance: in the valley stretch has been recently developed the touristic activities of canoe and rafting, while near Vercelli there is the conservation area of Lame del Sesia, where many river species birds nest and transit. Our itinerary starts near Borgosesia, with the visit at the sanctuary of Sant'Anna: built in 1631 on a hillock which dominates Borgosesia and the whole low Valsesia, it is worth to entering and admire the 17th century plastic groups, which tell the life of Saint Anna, placed in the six laterals chapels of the inside with five naves. We observe also the 13 newsagents dedicated to Our Lady all painted, which compose the Via Crucis that from the foot of the hill brings to the sanctuary. In this area is placed the Natural Park of the Fenera Mountain, which dominates the hills of the low Valsesia; it is covered on the most part by woods, but there are also areas cultivated as orchards, vineyards and some moor wooded area, developed alongt the park edges. As for the flora, we find a notable quantity of plants and woody essences even rare: this happens because of the presence of many waterways and of the different exposition of the slopes. As for the fauna, the park houses different species of particular birds, as the pilgrim hawk, the mountain swallow and the woodpecker and mammals as the roe deer and the hare, which use the cultivations for grazing. In 1994 the first nesting of the black stork happened and since 1996 the park board and the collection center, for Italy, of data relative to this bird. Moreover, many important ethnological findings of different ages, from the Palaeolithic to the Roman and Middle Age: to remember the traditional straw roofs for rustic houses: the "taragni". We go on a little more and we arrive to the town of Varallo Sesia: the main center of Valsesia, it is situated in the confluence of the river Mastallone with the Sesia, which divides the ancient area from the recent one. Our short stage in Varallo begins in Vittorio Emanuele II's square, where dominates on a cliff the collegiate church of san Gaudenzio, of 1200; the inside with one nave, conserves valuable artworks, such as the portrait of Gaudenzio Ferrari of the 16th century and some altars of the 18th century in polychrome marbles. Continuing on Corso Roma, we find San Marco's church, of romantic origin, among the oldest churches of Valsesia; some pictures of 15th century are conserved inside. Arrived at Via Maio, we can visit the art gallery of the Museum's Villa, one of the greatest collections of Piedmont. In the beginning of the climb which brings to the Sacred Mountain of Varallo, the Holy Mary of the Graces church rises, built in the end of 14th century by the will of father Bernardino Caimi, founder of the Sacred Mountani of Varallo; inside there are a cycle of pictures about the life and the passion of Christ, made by Gaudenzio Ferrari in 1513. We continue the climb and we arrive at the Sacred Mountain of Varallo, called the "New Jerusalem": it is Piedmont's most important Sacred Mountain and absoulutely the ancientest one. In the end of 15th century father Bernardino Caimi, coming back from Jerusalem, decided to reproduce a "miniature Holy Land" to evocate the life facts, the passion and death of the Christ, and he individualized the ideal place at the foot of the Three Crosses mountain, from where it can be dominated Varallo and the whole Valsesia. So, today the complex has 44 chapels culminating in the Assunta's Basilica, which presents 142 statues and about 500 painted little angels; the great dome, the altar of Benedetto Alfieri, and the crypt, even of him, are really interesting, where there's the statue of the sleeping Madonna, which it is said that it has been brought from Costantinopoli by Father Caimi. We leave Varallo and go back up the whole Valsesia until we arrive at the Alagna Valsesia municipality, old Walser colony which distinguishes for its houses of extraordinary woody architectures and for the refined civilization coming from Germany: here the ancient Walser tradition live with pride, population of Helvetic language origin and German culture which between 110 and 1200 crossed the Alpine passes for coming down to the Italian slope of the Alps and settling in three valleys of the Lys, the Sesia and the Toce. In Alagna we can visit the Church of San Giovanni Battista, buil during the 16th century and restored during the Barocco's epoch, and the Alagna Valsesia's museum, which conserves the memories of the farm-worker alpine civilization. We end our excursion with the visit of the High Valsesia natural Park, the highest in Europe. The flora presents a moderate richness of plants; the fauna is typical of the alpine areas: chamois, ibex and roe deer. Moreover there are many Alpine Mammals, above all the marmots, while among the birds we find the royal eagle and some "tetraonidi" such as the "gallo forcello", the white partridge and the cotridge. In correspondence of the valley shrinkage, we can admire the Sesia's hot-water heater, formations deply digged by the glacier during the millenium. Very interesting and original is the glacier path, set up in front of the majestic glacier of the Rose Mountain: the course, unique in Italy, allows to see and learn the history of the glaciers of the zone, guided by a serie of illustrattive wallcharts. Because of the climatic characteristics of high mountain, the park is accssesible only during some months of the year, among the late spring and the end of autumn. The aim of this excursion is to show the treasures and the particularities of the Alessandris's area, characterized in the North side by the alluvional plain of the Po (today protected by numerous wildlife reserves, as for example the stretch of Vercelli-Alessandria of the River Park of the Po), and in the South by the hills and districts which anticipate the surveys of the Apennines of Liguria. Our itinerary starts from Valenza Po, the world capital of the high jewellery: this tradition was born during the end of 19th century, when Vincenzo Melchiorre, coming back from Paris, began to produce golden and precious stones jewels. In the center of the town we can find many stores, where it is possible to admire the jewels created by the craftsmen of the place. In Valenza Po we stay in XXXI Martyrs square, where we can visit the cathedral, built in the beginning of 17th century, then restored in 1890 with the remake of the facade and newly modified in the beginning of 19th century. The inside, with three naves, conserves a picture of Moncalvo. We go out of the cathedral and we are in front of the Pellizzari Palace, neoclassical building built in the eary 19th century, actual seat of the council offices. Always in Martyrs square there is the Collection of Modern Art, which houses temporary exhibitions and a collection of modern art. In Via Pastrengo the Annunziata church rises, built on the ruins of the convent of Annunziata; inside we can visit the sepulchral crypt of the nuns of Saint Agostino's order. We leave Valenza Po and we go to Alessandria, the main town of the province. Founded in 1168 and called in this way in honor of Pope Alessandro III, is a typical military town, of enormous strategical importance until the last century because it represented the access to the Po valley; the citadel (still today military seat) is still testimony of that, built in 1726 by the architect Bertola. The historical center is surrounded by the avenues which follow the layout of the old walls. Our first stop in Alessandria is Giovanni XXIII's square, where it is placed the S.Pietro's cathedral, built in 1810, where we enter to admire the ceiling decorated by pictures of Luigi Morgari, the two pictures of Moncalvo conserved in the sacristy and the 24 statues of the patron saints of the town of the Lombardy union in the domes drum. We visit then the church of Holy Mary in Castello in the street of the same name, mixture of different epoches: foundations of 9th and 12th centuries, structure of 15th and 16th centuries, works of the 17th century. Still in Alessandria, we advice to see the Sciences Museum and the Planetarium where stuffed birds are exposed, insects and fossils and at the C'era una volta Gambarina Ethnografic Museum, which conserves objects of the Labour house between the end of 18th and early 19th century. Another interesting museum is situated in Spinetta Marengo locality, where napoleonic relics and a big plastic model are exposed, which represent the development of the battle of 14th June 1800 between Nalpoelon and the Austrians, one of the most important undertaken by him. Continuing towards the South, we find the Wildlife Reserve Torrente Orba, where, between spring and summer, colourated birds, such as the bee eater and the kingfisher nest. Continuing towards the South, we reach the Marengo Wood, with the late Renaissance temple of Santa Croce, Sezzadio with the Santa Giustina church. Going through Cassine, we reach the town of Acqui Terme: situated on the left bank of the Bormida, it is a well know spa, already known by the Romans. The thermal complex is today divided into two centers: the New Spa, situated in the town center and the Ancient Spa on the other side of the Bormida. In the Cathedral square there is the cathedral built in 1067 and restored in different successive ages; the crypt is absolutely to see, the triptych of the Holy Mary of Monserrat of 14th century, conserved in the sacresty, of Bartolome Bermejo, and the cloister of the Manse, of 15th century but with rests of the Roman age. Continuing along Via Domenico Barone (on the left of the cathedral) we arrive to the Palaeologics Castle, ancient stronghold of 1000; actual seat of the civic archeological Museum and in the courtyard inside there is the Bird Garden, botanical garden with aromatic plants. Following Via Giuseppe Saracco, we arive to a little square where the Bollente rises, othogonal mamble kiosk, symbol of Acqui Terme, built in 1870 with classical forms; from the base streams water at 70-75 °C. Our stop in Acqui Terme ands with a stopover in Levi square in the regional wine bar of Acqui Terme, housed in the cellars of Villa Robellini, which dates back to 18th century. We continue towards East and we arrive to Gavi, where we stop to observe the Forte di Gavi, huge fortified construction built between the 16th and the 17th century on a hill peak, to dominate the Lemme's valley and the ancient streets between the sea and the the Po valley. During the first and second world war, it was used as a prison. The Forte di Gavi is reachable passing through the Ovada and its castles, then through districts and hills: we already are in the "middle earth" between the Po valley and the Apennines of Liguria. In addition, not far away from Gavi, there is the Wildlife Park of the Capanne di Marcarolo, placed on the vast plateau of Marcarolo, in the mountain area of the Apennines of Liguria-Piedmont in the extreme South of the province of Alessandria. The Park area is dominated by the massive pyramid of the Tobbio Mountain, from which we contemplate the Gulf of Liguria, less than ten kilometers far as the crow flies. The botanical interest is lively; the trees are often conditioned by the climate to assume prostrated and twisted forms. During the centuries, the man, with his presence and his activities, deeply "modeled" the landscape: considerable surfaces of the park have been deforasted to provide wood to the shipyards of the Republic of Genoa, others have been used for grazing and the coltivations. We even stop for a moment to the Shirne of the martyrs of the Benedicta which remembers the drammatical massacre of the partisans made by the Nazis in 1944. As concern the fauna, it could happen to see a roe deer or a wild boar, even if it is easier to see a buzzard, a kestrel, or an astor. In the park it is possible to rent bicycles and not far from the Capanne di Marcarolo locality horses for excurisions are available. The Canavese takes form as a wide Subalpine amphitheatre among the valleys of the Gran Paradiso National Park and the Dora Baltea, whose wings are made up of the morenic systems which sign the way out of the Aosta's Valley in the North and of the Susa valley in the South. The lanscape presents hills, terraces and bottomlands, and the most advanced industry cohabits with the precious wine vineyards and with the memories of a medieval past represented by the numerous castles. The "historical capital" of Canavese is Ivrea, with its palaces and its winding streets, which each years is in square for the carnaval of the oranges while southern are build the offices of the Olivetti; the Dora Baltea, which flows embed, accentuated the character of a austere and subalpine town. our course through the Canavese castles begins in Ivrea, from which we reach the Castle of Parella, great 16th century building on a previous medieval srtucture, where insides are visible numerous painted saloons or with panelled ceiling of the 16th and 17th century; beautiful the Giove's saloon, with keel volta and pictures with historical or mythological themes. We go to Baldissero Canavese, nera the Wildlife Reserve of Pelati Mountains and Torre Cives, which rises at the center of a sorto of "climatic island" containing a great part of the Canavese and characterized by mild temperatures. The Pelati Mountains are an hypo thermical oasis with a humid-temperate clima, which favours the development of a vegetation different from other neighbouring zones and a fauna presence also singular. Our interset point in the reserve is a tower with a square plant of the 1100, which we can reach with a short walk through the wood, surrounded by an equipped area, from which we have a great panorama on the surrounding zone. We follow now the indications for Valperga and we arrive at the Wildlife Reserve Sacro Monte Di Belomnte. the Sacro Monte is a monumental complex with a splendid panoramic position, composed by a sanctuary build in the 1000 and 13 chapels, stages of a devotion ring course, build in the 17th and 18th century. The Belmonte hill dominates the Canavese plane, from the Serra d'Ivrea to the Turin's Hills. The area has also a remarkable archeological interest because on the peak of the height are been recovered intersesting traces of uman settlements of the Metal Age. As concern the geology, outcrops of pink granit alternate at sandy casts, called sand pit, and st woods; for the vegetation, we notice that the summit of the mountain is strongly influenced by the introduction of ornamental species. Inside the Resverve there are cycle tracks and horse courses. We leave Belmonte and we go on till Aglie, where the Castle of Aglie, with its park, stands out unmistakable above the village. The castle has medieval origins, but in the 16th century the count Filippo d'Aglie transformed the old fortified castle of 1100 in a posh residence entrust the works at Carlo di Castellamonte. It was then distroyed by the FRench and aquired in the 17th century by the Savoys, who made it alomst totally rebuild; The duke of Chiablese, son of Carlo Emanuele III, lived there, but after the napoleonic invasion it was abondoned. The castle flourished again in the 18th century, by the wish of the king Carlo Felice who made it his prefered residence togerther with the castle of Govone. Inside there are more than 300 rooms richly furnished: beautiful are the Ballhall decorated with pictures of the 16th century which represent the Pomp of king Arduino, the hall orned by stuccos of the 17th century of Bolina and the San Massimo chapel with the painted volta and stuccos and golds of the 16th and 17th century. Connected to the castle is the big park with Italian and English gardens. Even the castle of Rivarolo deserves a visit, which is near the village which has the same name, and also this connected to a beautiful park. Build by the counts of san Martino in the !3th century and then resored, it was completely restored in the 18th century in a neogothic style; from the original structure remain a high cylindrical crenellated tower, a painted little portico of 14440, drawbridge and the large.build walls which join the two fortified wings. Easthern we find the village and the castle of San Giorgio, towards the morenic hills, just before the Candia Lake, near Caluso. wanted by the counts Biandrate, it was build in the 13th century over the rests of a previous distroyed castle; modified once in the 16th century, it was radically transformed in the 17th century in its actual forms.It is a building with of an imponent size with a big English park. Crossed the Dora we reach the last stage of our excursion, which ir represented by the village of Caravino with the castle of Masino, build in the 11th century by the counts of Valperga and transformed in the 17th century in country residence. Inside we can admire great rooms richly decorated and epoch furnishings. Arround the castle there is a big English park, where there is the Carriage Museum. With this excursion we want cross the valley where in February "006 the winter Olimpic games took place. The Susa valley is well known and passed, therefore the passage of the man is evident. On the slope of the susa valley we can visit the Natural Park of Gran Bosco di Salbertrand, build by a vast dell which open in correspondance of the village of the same name, not equally divided by the Rio delle Gorge and coursed by the thick hydrographic net. as concerns the flora, woods have a considerable biological value and contains all the pregious conifers of the alpine area: the lawer part is dominated by ashes, linden trees, birches and alders, while in 1800 meters begins to increase larches and pines. Moreover, part of the territory is registered in the National Book of woods of seed for three rare species: Abies alba, Picca excelsa and Pinus cembra. As concerns the fauna, it is rich and various: among the birds we can often see imperial ravens, buzzards, golden eagles or also black games and white partridges; among the mammals ermines, weasels, stone martens and woolfs; and chamoises, deers, roe deers and wild boars. If you want to a picnic followed by a trip in bicycle or on horse, the Park has all the equipments. The zone of the Rellice valley and the Chisone valley, instead, have better conserved their original characters because they are less famous. Here we can admire the Natural Park of the Troncea Valley, near the basin of the Chisone stream. for the vegetation, as trees we find here also larches and pines ( with the particularity of a rare pine wood), as flowers the tipical pioneer species (edelweiss, aster purple, butterflower of the Pyrenees, etc. ); however the woods are been very exploited in the past for the timber which was used for build the fortifying network of Fenestrelle and mine galleries of Beth. As for the fauna, we can also here see the alpine's birds and mammals of the Salbertrand added the ibex (introduced again in the park). Also by a historical point of view the park is interesting: there are traces of the presence of prehistorical populations and of the stay for some centuries of the Waldensians; there can be admired some rustic hoses of the 17th century, already abandoned. Between Susa Valley, Sangone Valley and Chisone Valley we find then the Natural Park of the Orsiera-Rocciavre. The vegetation is characterized by pastures and conifers woods: woodland pine, larch, white fir, but also beeches and broad-leaveds. The fauna is various and similar at the othertwo parks for th birds and mammals, and there is also the ibex and the mouflon. even this park is historically interesting: there is the Didactic laboratory of Pra Catinat and there are also present ancient human testimonies like rock angravings and prehistorical handworks. At more recent times, even if also they are historically interesting, belongs the Certosa di Montebenedetto (12th century) and the militar bulwark of the Fenestrelle Fortress, the defensive line which fomr Fenestrelle (in the Chisone Valley) reached Exilles (in the Susa Valley) build, as we said before, with the timber of the Troncea Valley's wood from the 17th century. Once admired the naturalistic beauties of these valleys, we can trace an itinerary which instead follows the man contribution in this landscape, retraceing the fortresses which he has build during the centuries in this once uncontaminated valleys. we start by the Pellice Tower, holydays and winter sports station as wll as the most important municipality of the Waldensian, its ancient name was Luserna Tower for the fortified castle and then distroyed. We go firstly to the Historical Waldensian Museum, which documents the origins, the history, the costumes and traditions of the Waldensian population and of the valley where they settled in; near there we can then admire the Waldensian Temple, of the half of the 18th century and where each year take place the opening cult of the Synod. We can then go to the Civic Contemporany Art Gallery Filippo Scroppo, which collects pictures, sculptures, pphotografies of Italian artists of the second post-war period. We leave Pellice Tower and we go to Pinerolo, called the "Piedmont's Nice" for the particulary mild clima: born before the year Thousand, its ancient part was fortified for centuries and objects of besieges and battles between the Savoys and the French (for three times it was connected to the French kingdom). Interesting in Pinerolo is the Vittone Palace, which actually hosts a gallery and the didactic Museum of Natural Sciences and of the Mushroom: the Civc Museum of Prehistorical Art; the National Museum of Chavalry Arms; the Cathedral, build in the 11th century and then more times restored untill 1700;the Senate House; the San Maurizio Church on the hill which has the same name with has behind the Sanctuary od the Our Lady of the Graces; the Ethnographic Museum; the Diocesan Museum. Now we arrive at the more times quoted Fortress of Fenestrelle, a militar complex unique in whole Europe, nicknamed "chinese wall". Defensive building, began by the French and enlargedby the Savoys in the 17th century, it spread from the left bank of th Chisone untillthe plane of Catinat, covering a inequality of 635 meters with a length of 3 km along the Orsiera coast. It is composed by a serie of fortresses: San Carlo, Tre Denti, Elmo, Delle Valli and by the reduced Carlo Alberto, jointed by covered stairs with 4,000 steps which develops along the mountain crest. Today it is possible to visit it completely, for all the 3 km of development, with a unending stairs which touches all the strategical centers, from the Lawer citadel untill the higher positions. we leave Fenestrelle and go on along the Chisone Valley, we touch Pragelato, we cross the Sestrier Hill and we go down in the Susa Valley; in Oulx we turn to Bardonecchia, for visiting the Bramafam Fortress. Build on the rest of anold medieval castle at the end of the 18th century for protecting the Frejus gallery mouth against the posssible attack by the French, this fortress has a irregular polygon form with a strong inequality inside. During the First World War it was used as a internment camp, in 1930 it returned to do its defensive action and during the second post-war period it suffered continuous sacks untill the beginnig of the 90s years; in 1995 the recovery works have started and it is now accessible. We go down the valley reaching the bottleneck and fortress of Exilles, great fortification complex which dominates the valley from the summit of a rocky spur. Its origin is very old: already arised in 1100, it was then distroyed by the French came with Napoleon and rebuild after 30 years; abandoned in 1946, the fortress begins a unstoppable decline, but after a careful recovery work and valorization, in 2000 it was opened for the public. The visit of this monumental architectural structure starts by the Royal Ramp, continue in the fortress hall, crosses the tongs till the Knight courtyard, central place; from here we can continue the discovering of the fortress or visit the espositive areas: for example in the Gunners are been setted up parts of military collections of the National Mountain Museum (SEE MUSEUMS), and admirable are the six sculptured groups which catch monments of a militar life in mountain. We find then many sketches, maps, images in movement which tell the secular history of thExilles fortress and the military architecture of the werstern Alps. With this excursion we want repeat one of the called "Heaven ways", that is one of the pilgrim medieval courses done with faith towards Rome, Santiago de Compostela or Jerusalem: we retrace, in inverse direction, the Francigena road, which came from France, crossed the Moncenisio Hill, went down in the Susa Valley and reached Turin; which in municipal age occupied still the quadrilateral of Roman Foundation, which some district outside the walls. Starting from the pilgrims destination, Turin, our first stage is in Sant'Antonio di Ranverso: an abbey complex isolated in the country, it was founded in 1186 by Umberto III and given at the Anonian fathers of Vienne, to offer hospitality at the pilgrims and take care of the Sant'Antonio's fire with the pig fat. from the ancient structure remain the church, a beautiful example of medieval arcgitecture, part od the monastery, a side of the cloister and the pictures in the entrance hall are of the 14th century; the near monastery of the 17th century. Near there is Avigliana, where it is advisable to visit the old district and the striking protected lakes of a wildlife reserve. From here is already seeable tha Sacred of San Michele, on the Pirchirian Mountain at the entrance of the Susa Valley (the "chiusa"), reachable retraceing the ancient mule track of Sant'Ambriogio. Founded before the year Thousand by Ugo Montboisser, it became during the Middle Ages one of the most important Benedectine monasteries, stop point of the pilgrims who passed through the valley. The imponent abbey complex is overbeared by the Romanesque-gothic church, where in the inside are romanic high reliefs, pictures of the 14th and 15th century and a crypt. On the left side of the church we reach a overlook from which we can contemplate the whloe Susa Valley. We go down the valley, surpass the Borgone village and enter in the Bussoleno plane, where the orridi of Chianocco and Foresto flow into: they are tight and deep limestoned gorges engraved in the mountain by eroded phenomenons because of the water of the streams, whre a particular micoclimate has permitted the gowth of rare plante and the nesting of rapacious. We reach Susa, old Roman town on the banks of the Dora Riparia and called "Italy's door" for its obligatory strategical passage position through Moncenisio and Monginevro. Our visit of Susa starts from Savoy Door, late Roman, which has two circular towers connected by an arch with a covered way; we surpass it and we arrive in the Augusto park, where once ago arised the Roman forum. We go up and arrive at the Augusto Arch, build in 9-8 B.C. in honor of the Emperator, in front there are the Graziane Thermal Baths or Two Doors; two monumental arches in marble and stone; it is thought that they belonged to a defensive system outside the castle door. We aarive now in the cult plaec which interset us for our "pilgrimage": the San Giusto Cathedral, of the first of the year Thousand, which facade is on the Roman Wall, leaning on the ancient Savoy door. It is interesting to observe the picture of the 14th century above one of the doors and the Romanesque bell tower; we enter inside which has a latin cross plant with three naves and we admire the green marble baptismal font in the baptistery and the woody choir of the 13th century in the apse. In Susa we can visit even the Diocesan Museum of Sacred Art, near the Our Lady of the Bridge Church, which expose materials of the Susa's diocese. Going to the Palazzo di Città street we meet a square where rises the San Francesco's Church, founded in the 12th century with the connected monastery, with the bell-like facade and the Gothic door sutmounted by "ghimberga" and decorated by pictures. Returned in Palazzo di Città street we go on along the street till a staircase, at the bottom of it we find the Castle, dates back to the 10th century and is actually seat of the Civic Museum which expose prehistorical, Roman relics and numismatic, botanic collections and mineralogy. We have staged in Susa because the historical transit door towards the Monginevrino and Moncenisio hills, is on the ancient street of the MOncenisio (the new road crosses high the mountain) there is the new Novalesa Abbey (SEE HISTORY the arrival of the Barbarians and the diffusion of the Christianism), slightly pushed away from the road outline, in a silent cave dominated by the Rocciamelone mass.The Benedictian abbey complex was foundedin 726 along the pilgrimage road and became one of the most important cultural center of the Middle Ages. Arriving today, there appearse a church, a monastery and four chapels spreaded in the park. The first building we meet is the the Santa Maria Maddalena chalpel of the 17th and 18th century, with a bell-like facade. We continue and we reach the church: a the right side there is the cloister, from which remain tow sides. We go still on and we visit the San Salvatore chapel, the biggest and the most recent ( subsequent to about two centuries) of the four bell tower. In the neighbourhood there is the third chapel, those of Sna Pietro which facade is scanned by three high arches which follows the roof inclination. Finally the last: the San Eldrado chapel, jewel of the monumental complex, with the inside completely decorated by pictures of the 11th and 12th centuries. Who anted to continue till the pass, can notice the signs of the medieval mule track, at the borderlines of the subsequet napoleonic road. The Biellese is a territory where religion and industry live togerther peacefully: in fact, although a few Apls zones presents such a industrial concentartion, the texil activity with its big factories has never wiped out the testimonies of the religious devotion in the zone represented by the numerous sanctuaries which we iwth these excursion want to visit. To begin we start by the town: Biella, small town composed by three urban centres: Biella Piazzo, the higher part, Biella Piano, on the right of the Cervo stream and BIella Chiavazza on the opposit bank. Of Biella Piano we advice to visit the pre romanesque Baptistery in the Cathedral Square, the the Cathedral of the 14th century with a Gothic door and interesting pictures inside, the Romanesque bell tower of the 12th century and the San Sebastiano church, Church of the Renaissance build in the 15th century where in the cloister there is the seat of the Territory Museum which tells the local history with objects and use materials. We go up in Biella Piazzo (we can access with the funicular) and in Cisterna square we admire the San Giacomo church, Romanesque of the 12th century with a precious triptych of the 14th century and a woody choir of the 16th century in the apse zone. We go down, leaving Biella and we reach in 16 km the sanctuary of San Giovanni d'Andorno in Campiglia Cervo, touristic centre of the valley. The 16th century's complex, in a panoramic point of view at 1020 meters of height, is composed by a church, Hospice, boarding-school and five chapels. It is interesting to observe the two bronz panels of Gaetano Cellini on the wings of the marble door, the pictures of the 17th century inside in the altar of Carlo Ceppi. On the right side, digged in the rock, there is then the "Saint Chapel" which contains a precious woody statue of San Giovanni Battista. Our next destination is the great Sanctuary of Oropa: a famous pilgrimage place, rises at the head of the Oropa valley, at the foot of the Murone Mountain, in a dell with woods and fields. We are mayby in the most ancient of the western Marian sanctuaries. It is build by a vast and scenographical buildings complex, build in the 16th century and spreaded arround three squares: the First Square, closed by two buildings of the 17th and 18th century, the Second Square, at an higher level with buildings of the 17th century, and the Sacro Square, of the 16th century, where we have access through a large and majestic staircase which starts in the Second Square. Here rises the Ancient Basilica, it also of the 16th century; inside is conserved the so called "Sacello Eusebiano" where is conserved the statue of the Black Our Lady, woody sculpture recovered by gold andgemsof the end of the 12th century. Beyond the square rises the New Basilica, build between 1885 and 1960; complete the complex the 19 chapels which constitutes the Sacred Mountain of Oropa: 12 build durinf the 16th century, which represent through sculpture groups scenes of the life of Our Lady, and seven spread arround the sanctuary which tell devotional episodies tied to Oropa. each five years, a procession reaches Oropa from Fontainemore, in the Lys valley. We go down to Pollone, where we acn visit the garden of the Wildlife especial Reserve Burcina Park (We advise the second half of May). From Pollone, going on werstern, we reach at least the Graglia Sanctuary. The project comprised the realization of the Saint Places of Palestine. It was begun at the beginning of the 16th centruy but then abandoned: today remain some chapels along the climb which brings at San Carlo Hill and the Graglia Sanctuary, exactly, dedicated at the Our Lady of Loreto. Situated in a panoramic position on the San Carlo Hill, it was build from the half of the 16th century to the half of the 17th century. The facade is in terracotta; inside, with a Greek cross plany, is surmounted by a majestic othogonal dome high 38 meters with finished perspectives decorations. From Graglia the Biellese plane, the Ivrea Serra and, if the day is clear, the Turin's plane till Monviso are dominated. The wildlife Reserves La Bessa and Le Baragge offer then the possibility to made horse walks and ride courses, where relaxing in contact with the Nature. The Monferrato "was born" at the beginng of the Middle Ages, when the Germanic Emperor Ottone, according to the legend, said to the son-in-law Aleramo: "the territory which you circumscribe ridding for three day will be yours"; Aleramo ridded for three day and he "created" the Monferrato, which then was only wood. Since then, slowly rised vegetable plots, vineyards and orchards and the hills of the Monferrato became a little world moulded by the man's hand and they began to produce valuables. the hills do not surpass the 500 m of height, but the landscape is always moved, modelled, as a waved sea. 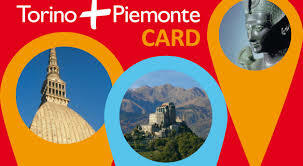 Our turn to Monferrato starts from Casale Monferrato, situated among the hills and the Po's territories. Of Roman origin, capital of the MOnferrato untill 1435, in the middle of the 15th century the Gonzagas transformed it in one of the most important Europeen strongholds, with a citadel of exceptional dimensions, never conquired with force but dismantled at the beginng of the 17th century, when the town passed to the Savoy dominion. The historical centre coincide yet with the pre-existing fortified wall. In the town centre there is the Mazzini square and the Cathedral, in Romanesque lombard style with external polycrom walls and a facade with two bell towers of the 12th century; to observe the "nartece" with loggia matron, unique example in Italy of architecture of Islamic planning. Inside there are the crucifix of the 1000 and 1100 in black wood and silver leafs and the chapel of the 17th century of Sant'Evasio of Benedetto Alfieri, ornated by statue and bas-relief. WE visit then the San Paolo church, late Renaissance building where inside there are many art works such as pictures of Moncalvo. Near there rises the Gozzani Palace of Treville, of the Barocco of the 17th century: to notice the hall and the coutyard decorated with niches and statues. We find then a series of interesting churches: the San Filippo Neri church, of the end of the 16th century, with a sever facade with two orders where inside with a Greek cross plant there are conserved works of several authors; the Addolorata church, build in the 17th century with a inside with a central plant and two woody sculptures of the 16th century in the apse; the Santa Caterina church, of the 17th century with a waved facade with two layed upon orders and an inside with an elliptical plant with an high dome full of pictures; the Santo Stefano church, Barocco's buildings of the 16th century with an inside with a central plant with many works and , on the left side, the Civic tower, realized in 1000/1100 and raised in the 15th century with the add of a bell cell. The last two places which we suggest to visit in Monferrato, if you have the possibilty, are: The Civic Museum and the "Gipsoteca" Bistolfi, set up inside the ex convent of Santa Croce of the 14th century which conserves pictures of from the 15th to the 19th century, woody and ceramic sculpturesand Italian majolicas from the 11th to the 17th century, skretches and models in plaster of the Casalese sculptor Leonardo Bistolfi in the "gipsoteca"; the museum is equipped by an archeological room with relics og the bronz age found in the near locality of Pobietto; and the Synagogue of the 15th century, one of the greatest Jewish piedmontese borocco's examples where inside there are the Jewish Art and History Museum which collects numerous liturgical objects and historical documents relatives to the Israel-casalese community. We leave Casale Monferrato and we go western, where, isolated on the hills, raises the Sacred Mountain od Crea, realized at the end of the 15th century in adding at the pre-existing Sanctuary and composed by 23 chapels and five "romitori" (in origin 15), spread all over the wood and connected among they by paths. The chapels illustrate the "Misteries of the Rosary" and contain life-size statues groups. We give particular attention to the Paradise Chapel, with a circular building; in the volta interesting is the majestic composition, parts in plastic and parts painted, representing the coronation of Holy Mary. the church, of Romanesque origin, is dedicated at santa Maria Assunta; the inside with three naves conserves numerous art works. We continue our turn through Monferrato going southern till arriving at the province main town: Asti. The golden age of this actual important grapevine wineand of the town was the Middle Ages; although the subsequent urban transformations, Baroccos and of the 18th century, we can find "pieces" of the Middle Ages in the town centre, which has an elliptic plant and is passes by tight little roads where we can rediscover house-fortress and towers of this period. The first place we visit is the Collegiate church of San secondo, in Palazzo della Città street: it is a Gothic church dedicated st san Secondo patron of Asti and raising at the 12th and 13th century. Of this church we admire in the exterior the three rose windows and Greek doorsin the facade, the polygonal chapels at the sides and the bell tower (the unique remained element of the Romanesque church); entering, we see the pictures of the beginng of the 14th century, the san Secondo chapel of the 17th century realized by Bernardo Vittone and the rests of the Crypt of the 7th century, belonging to the prevous church of San Secondo. We reach so Alfieri and chance on a vast monumental complex: it is the San Pietro in Consavia's Rotunda, composed by the palace, the church of the 14th century and the Pilgrims Hospice cloister, where we arrive to the Archeological Museum, which has its seat in the ex hospital and collects local and not relics (for example, we find a palaeological section dedicated at the Tertiary Era and one of Egypt). We continue our walk to asti with a visit of the Sanat Maria Assunta Cathedral, a Gothic church in terracotta of the 13th century, it also with three Gothic doors in the facade and a Romanesque bell tower. Inside, with a latin cross plant with three naves, we can observe the numerous conserved wofks: pictures, a statue group in ploycrom terracotta of the 15th century and a Romanesque mosaic in the presbytery, where we arrive also at the bishpo crypt, where there are the graves of some bishops of the town. always in Alfieri's main street we find even Alfieri palace, seat of the Alfieri's Museum, collection of the relics and memories of the writter of Asti Vittrio Alfieri. the last stage of the Alfieri's main street is the Sant'Anastasio crypt, or that which rests of a Romanesque building distroyed during the barocco's epoch, and the relative Museum, which collects sculptures, tombstones and relics of different epoches. In the Arazzeria's street we visit a particular place: the Tapesry laboratory Ugo Scassa, inside the Certosa of Valmanera; it is composed by a collection of tapesries weaved on sketches on Italian and foreign artists pictures (Casorati, De Chirico, Guttuso, Kandinsky, Klee, Matisse, Miro) and by the near weaving laboratory. Before we leave Asti, we visit the Trojan Tower, or better the so called "Clock Tower" because it was once seat of the civi clock which showed the official hour of the public acts. We take the car or the bus and we go visit the San Secondo Church of Cortazzone, outside the built-up area, near MOnafia, in a panoramic position. It is a Romanesque church which raises at the first half of the 11th century; the facade is partially tampered but it is although interesting for the inside, with the particular capitals with zoomorphose figures and the apse picture. We go on northen, beyond Castelnuovo Don Bosco, untill reach an isolated little valley where we find one of the beautifulest testimonies of Roamn- Gothic art of the whole Piedmont: the Vezzolano Abbey, an important economical medieval centre where resta today the church. the facade is Romanesque, with alternated bands os brick and sandstone, and above there are three blind galleries on mullions and a decorated dopple hole with statues and under there is a central door orned by reliefs; inside we admire the terracotta triptych of ht end of the 14th century and the green stoned Romanesque relief of the 11th century. Beautiful is also the cloister, build in different epoches and forms, with its pictures from the 12th century to the 13th century. The chapter house hosts a permanent exposition of the Romanesque of Asti. This itinerary will rediscover a not well-known zone and less "in fashion" of Piedmont: the valleys which snake from the Monviso, the well visible peak from Turin and from a big part of Piedmont, insert in a flourishing agricultural landscape modelled by orchards, above all of apples and peaches. We can start our itinerary by Cavour, a village raised and inhabited since the first Roman conquest of Piedmont. In the birth's village of the famous minister it is interesting to visit three places: one of artistical interest, a ntauralistical one and a historical one. Of artistiacl interest is the Santa Maria Abbey, build after the year Thousand, then distroyed in the 15th century by The French and rebuild in barocco's style in the 17th century; although this, it remains one of the mosr important monuments of the high Roman art for the bell tower and the crypt with three naves conserved intact under the church, where there is the most ancient stone altar of Piedmont. Of naturalistical interest is the especial Wildlife Reserve "Rocca di Cavour" 8 insert in the protected Areas system of the Po's river band), an imponent relief of 160 m. isolated in the under part of the alluvial plane; it is the unique raised woody point in the ray of many km and represents therefore a refuge for many birds. Of historical interest is the Acaja-Racconigi's safe not visitable, a 14th century palace where in its rooms of 1561 it was firmed the Peace of Cavour with which the Savoys acknowledged the cult freedom at the Waldensians. We leave Cavour and we follow the road which brings to Saluzzo: along the road we notice an isolated building at the foot of the mountains: it is the Staffarda Abbey, a medieval complex founded in 1100 by the Cistercense monkes. The church has a Romanesque facade and in front a "nartece", it is to say a portico holden up by columns reserved for the penitents and catecumens; the inside with three naves, simple and austere, we find a Gothic pulpit of the 14th century and a polytych and an altar of the 15th century, all in wood. From the cloister we has access to the chapter house, destinated at the meetings of the community; compltee the complex the guest quarters where were received passerby and the market loggia. From the Staffarda Abbey the town of Saluzzo is not far. It is formed by a higher and a lawer part: first we visit the lawer part, outside the medieval walls raised in the 17th century, walking through the old roads and watching the showcases, then we go up to the higher part, of the 14th century, on the hill at the foot of the Castle with tight porticated roads and originally palisades by the wall. In the higher part there are many monuments to see. We start with the Cathedral, dedicated to Assunta and build in a lombard Late-gothic style of the 14th century. The facade is of bricks with three doors and pictures of Clemer in the lunettes; even inside with three naves there are conserved many art works such as a 17th century barocco altar and bell tower. In the same named square we visit then the San Bernardo church, raised between the 13th and 14th century but it conserves of thi epoch only the bell tower; the inside is subsequent of about three centuries and hosts the Immacolata Chapel. We turn in San Giovanni's street and we meet the Cavassa's House, a renaissance building which hosts the Civic Museum, where we can admire painted rooms, eopch furnitures, works os artists of Piedmont from the 18th to the 19th centuries and Silvio Pellico's relics. We go on in San Giovanni's street and we arrive in the same naned little square where the San Giovanni church raises, build from the 13th to the 15th centuries, with an incomplete facade with an inside groined door and cloister full of art works, and the Civic Tower, of the 14th century, incorporated at the ancient Municipality seat. Going on we reach Castello's Square, dominated by the Castle of the Marquises of Saluzzo called The Castiglia, build in 1200 for a difensive aim, enlarged at the end of the 14th century and in the 18th century used as a penitentiary; since then, from the ancient structure rests only the circular great tower. We leave Saluzzo and we go to Cuneo; on the road, aftera few km, we meet Manta, where we visit the Manta Castle, famous for the 14th century pictures conserved in the Baronial room. The most famous belong to a late-gothic pictorical cycle which represents the life-size characters of the chivalrous novel, 18 braves and 9 heroines. At this point we can choose two different possible conclusions for our excursion. we can continue to go on to Verzuolo and from there go the the Varaita Valley, which goes up till under the Monviso, or reach the Po Valley, and then turn back towards Saluzzo. This second road goes up untill the Wildlife Reserve Pian del Re and 465 hectares arround the sources of the river Po and just at the foot of the Monviso, in more than 2000 m over the sea level, situated in the Pian del Re dell. The richness of the water and the morphology of the ground originated, near the Po's sources, a peat bog: it is an habitat of particular botanic interest, where is present a rich variety of species, such as "hulks" of glacial flora came in these zones more than two hundert thousand years ago.